Good Friday Wall ball competition – Please support, all welcome. Tomorrrow sees our annual Wall ball challenge. Under 12s winner will receive the Jim Murphy trophy for the first time. 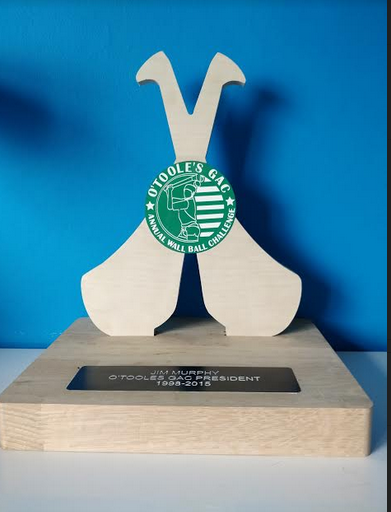 We would like to thank Stoney CNC who donated, designed and manufactured the bespoke Jim Murphy Trophy. Farrell Hurls have a pop up shop all day in the club From 10am. Under 16 Good Friday Hurling Tournament. All welcome, please come around and support this great club initiative.